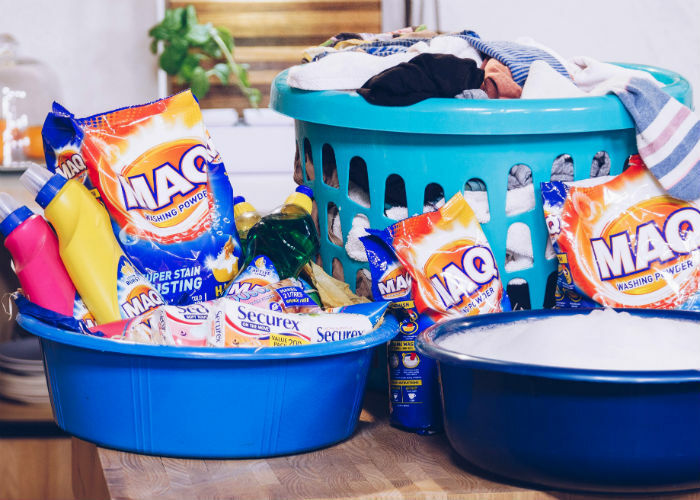 Stand a chance to win a MAQ hamper filled with amazing cleaning products from MAQ! 1.1. The Expresso MAQ Competition (Competition) will be run by Cardova Trading (Pty) Ltd in association with Bliss Brands (Pty) Ltd (collectively the organisers/we/us/our). 2.1. The Competition will run from Monday, 26 November 2018 to Friday, 30 November 2018 (Competition Period). 4.1. SMS the keyword "MAQ” to 33728 within the entry period (Entry Period) for any one, or more, of the prize draws, that will be conducted during the Competition Period, to be included in the specific prize draw. There will be a weekly draw and the Entry Period for each draw will be as provided on the Competition promotion on Expresso and/or on the Expresso website. 5.1. We will randomly draw 1 (one) entrant (Winner) per prize draw by means of an automated system within 24 (twenty-four) hours from the closing date of each Entry Period. 6.3. Prizes will be delivered to Winners to addressed within the Republic of South Africa within 30 (thirty) days from determination of the Winner. 6.2. The Prize, or any part thereof, is not negotiable and may not be exchanged for cash any other item. Prizes are not transferable. We reserve the right to substitute the Prize, or part thereof, with any other prize of a similar commercial value. 7.5. Where relevant, if a Winner does not accept the Prize as required herein, if an entry is not valid for whatever reason, if a Winner has breached these terms and conditions, if a Winner renounces the Prize or we deem such Winner to have renounced the Prize, if it is unlawful to give the Prize to the Winner, we reserve the right to declare the Prize forfeited and/or choose a new Winner. 7.12. This paragraph 7.11 does not purport to limit or exempt us from any loss directly attributable to our gross negligence. In this regard, to extent allowed by law, the maximum liability of us to you, whether in contract or delict for all breaches of these rules and all other events, claims or causes of action arising, or relating to any contract governed by these rules, shall be limited in the aggregate of R 300.00 (three hundred rand). You agree that we may only be liable to an amount of no more than R 300.00 (three hundred rand). This paragraph limits and excludes obligations, liabilities and legal responsibilities which we may have towards you and also limits and excludes your rights and remedies against us and other persons.